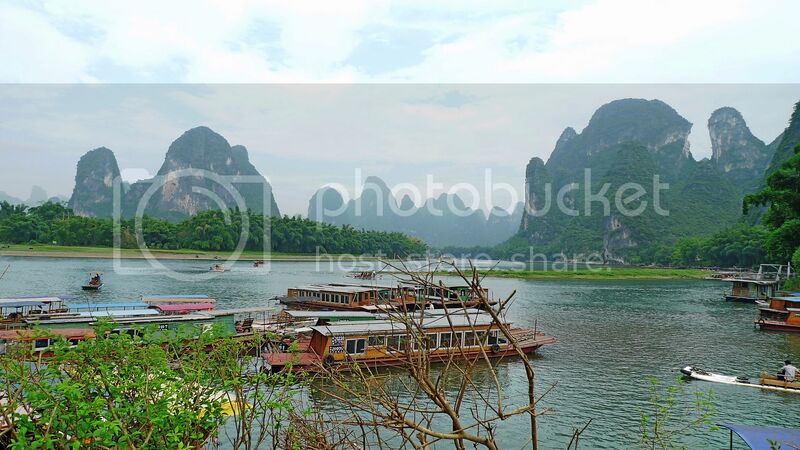 Just when you thought it's over, here we go again with another part of Lost In Xingping! But rest assured, this is the final part and I promise not to mention one more word about Xingping after this post! Unless I want to. Haha! Anyway, I was no longer lost so the title of this post may be a bit misleading. Well, whatever. The day after my adventure in the mountain forest of Xingping, we went to take some photos of the Xingping Port which was just 50 metres from the hostel we stayed. By the way, Jam had almost recovered from his diarrhea after he went to a Chinese physician and ate some Chinese medicines the day before. So he was able to walk around without having to camp near the toilet. Haha! Look! So many boats! Must be a busy port! Oh! There's a weir dam here too. Remember where I mentioned about weir dams? Haha, if you can't remember, refresh your memory here. I think it would be quite nice to walk across the weir dam to the other side! Nice reflection on the water. 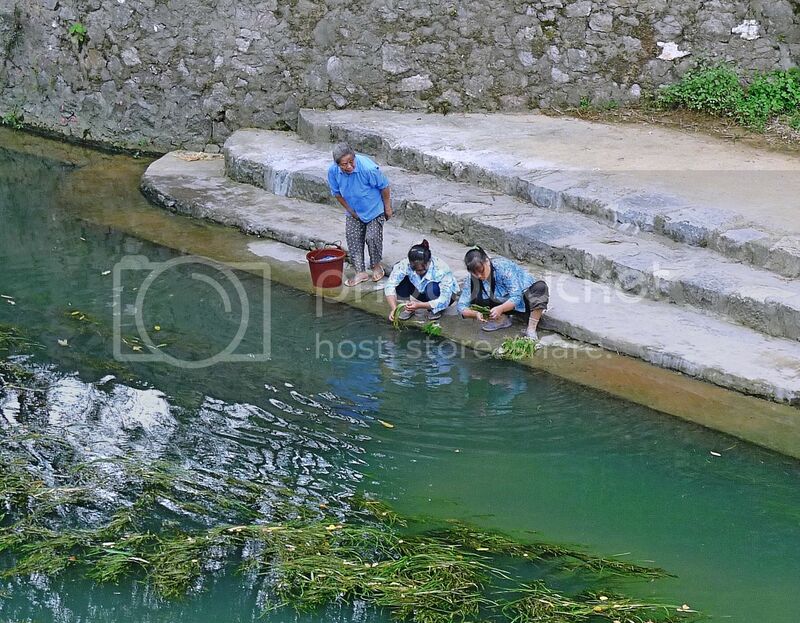 See the women washing clothes by the river? They were from the Water Village. 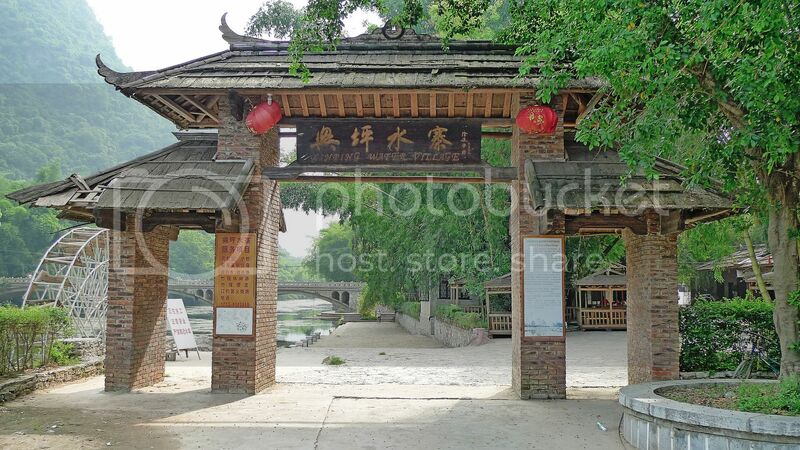 Here's the entrance to Xingping Water Village. There's a water wheel here. This is the bridge leading to the village. I didn't really visit the Water Village, just strolled around that place and came back out again. We had to check out of the hostel by noon and head back to Yangshuo. Before that, we went to the roof top of the hostel and took some photos there. I really liked This Old Place Youth Hostel. They have some sort like a roof top bar for you to relax at night. But I did not come up here at night. If you remember, after that adventure in the mountain forest, I decided to retire early. Anyway, there's hardly any night life in Xingping. It's a small town and the locals there usually go to bed by 9pm. Not my kind of life for sure, since I am a night owl, but it's good to experience it once in a while. I saw two letterboxes at the roof top. Well, that's about it. My adventure in Xingping had come to an end. 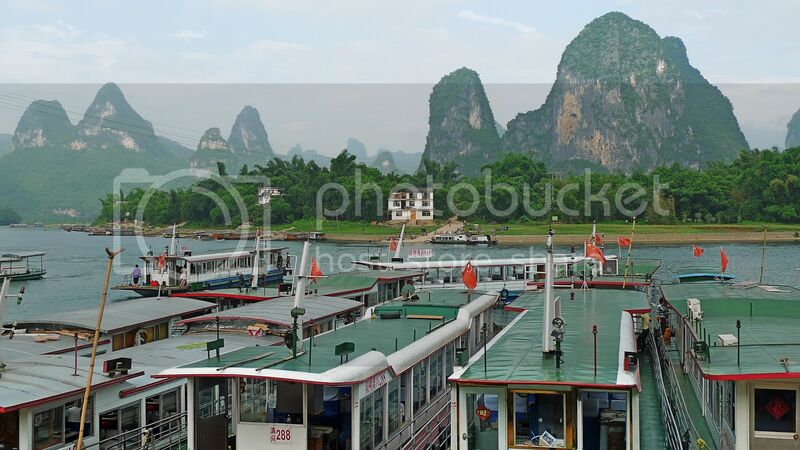 It's time to return to Yangshuo. Somehow, I felt a bit sad leaving Xingping. Was it because I did not get to visit the fishing village? 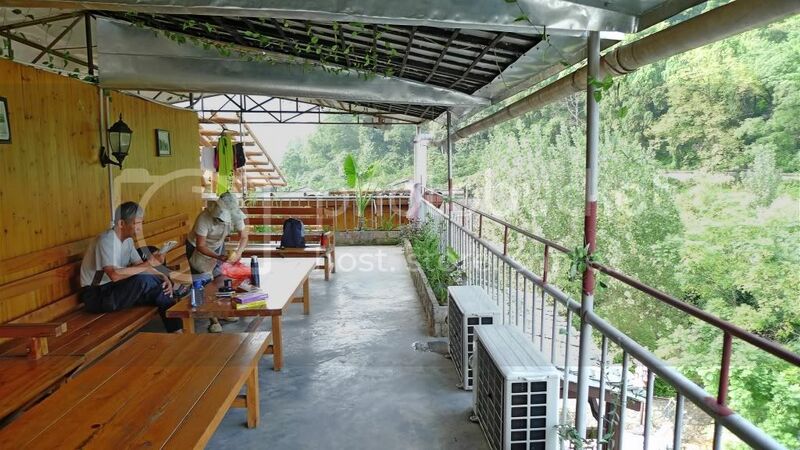 Or was it because of the extremely good service I received from this hostel? 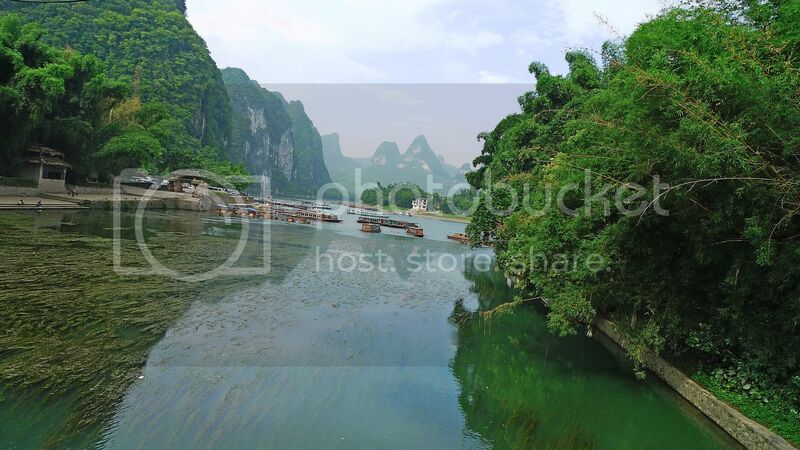 As I went up the bus heading for Yangshuo, I felt a little nauseous. My stomach was not feeling too good. I kept this to myself and did not tell Jam and his friend. I hoped that I was not going to come down with food poisoning! FC indeed! Yeay to me! 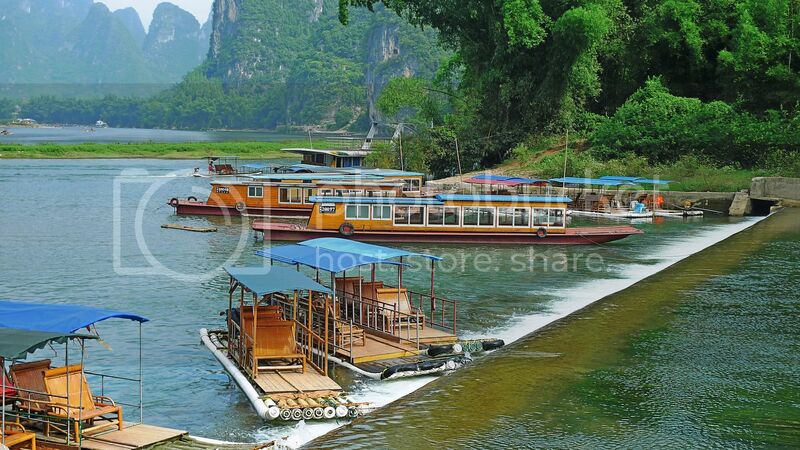 those boats sure look sturdier than the raft you travel on earlier. Don't know whether the water wheel is working one or just built for tourists. The port looks busy. 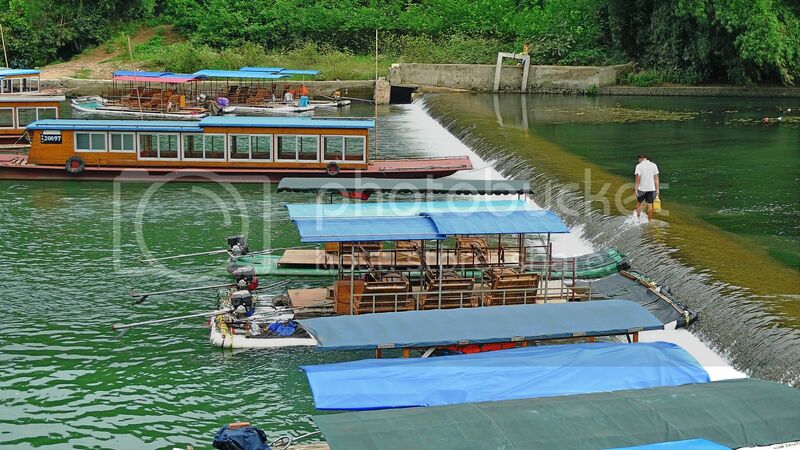 Are those just tourist boats or are they used for everyday moving of supplies and people? Did you try walking over the weir dam? It looks interesting but is it safe? No slipping off and such? The weir dams may serve a purpose but I suppose they'd create a lot of wear-and-tear for those boats/rafts going over them. hi hi! haha...after reading your blog. i have decided to go China and it's confirmed! 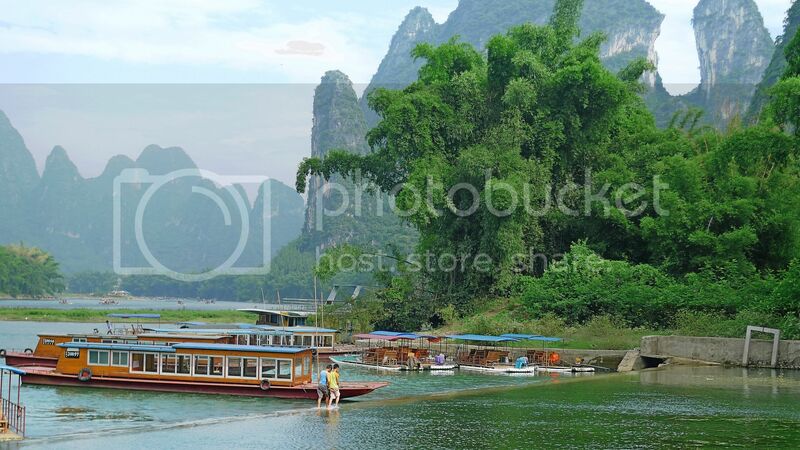 hehe...will be going next year June, to guilin hopefully. any advices or tips for travel? :)thank you! hehe...ur pictures are so tempting that i cannot resist to go already. The bridge looks nice for a small town. Is there a significance on it being named Water Village? Do you know? Nice pictures and good projection of life in a village - washing by the river, quiet village scene - makes one sad to leave. Btw, what do the people do for a living mostly? AirAsia's zero fare tickets right now until Sunday are really tempting. 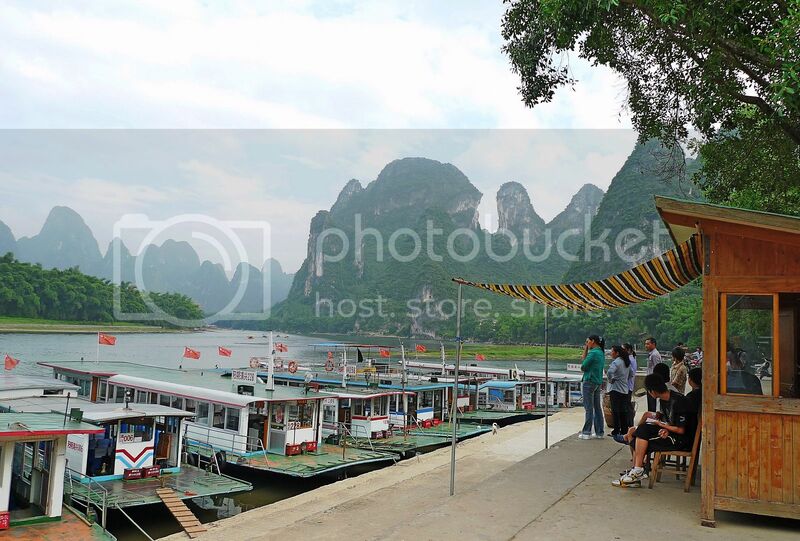 Foong, thanks again for the info and great shots you shared on your travels. It will be useful for future-travellers, me included. Don't tell me you had diarrhea too? manglish, I believe the food poisoning I got was from the same source as Jam's. 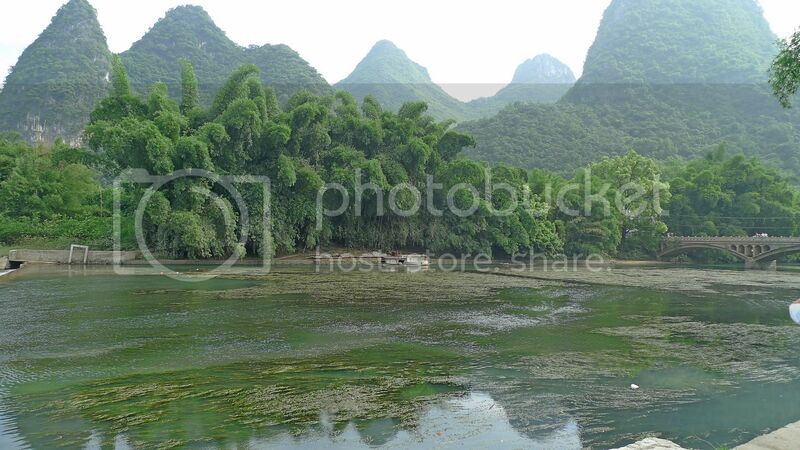 We had lunch at Yulong River and they used water from the Li River. happysurfer, I think they are for the local people as well as touritsts. I think the bridge is new. Not sure why it's called Water Village. The locals there do farming mostly. Yes, AirAsia zero fares are indeed tempting. Wondering if I should go Hong Kong / Macau as well! Are you planning to go anywhere? yalor, you got 5 episodes of Lost in Xinping, but i think only 1 episode that you wrote about getting lost.. haiz!! i love that water wheel scenery, looks so nice and so peaceful and so tranquil.. no wonder you don't feel like leaving the place..
well, actually are all these places you visited near to each other along the same river?? cos the sceneries are ALL THE SAME!! bananaz, haha, riding over the weir dam is just a bump and definitely not like a roller coaster. Haha! I don't recall seeing any bananas (fruit)in China - but I'm sure there are the other type of bananas there. LOL! SK, I celebrate - you throw the party all expenses on you lah. Haha! Only 1 episode on getting lost, the other 3 episodes before it is meant to build up the suspense. Haha. Got a feeling your post will surfaced, my luópán (wind water compass) & fingers calculation very 'choon' [accurate] one, haha. Just pulling your leg btw saw your sore 'toe' again in 2nd pix? Whoa love the 'reflection' pixs thanks. 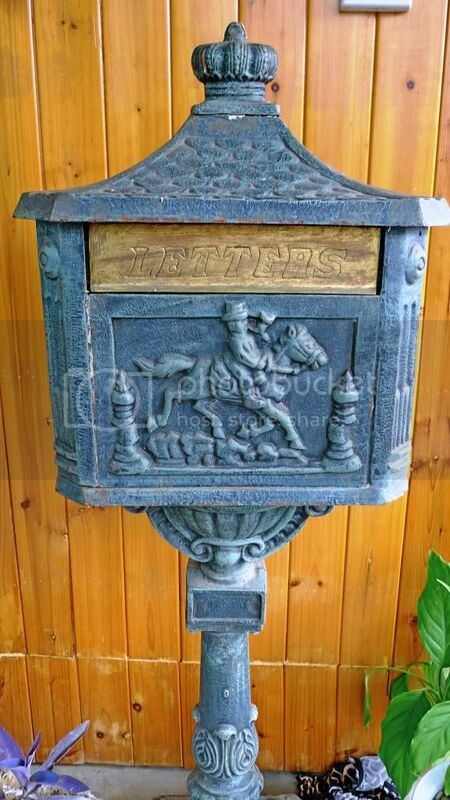 Oh nice letter boxes reminds me of "The Postman" and that could be Kevin Costner riding the horse delivering mails??? Lina congratulations on being FC here! Lucky day for you! The scenery looks so beautiful... was it windy? Else it would be lovely to stroll about.. just enjoying the fresh air and the wind. Oh wow! Haven't seen such water wheel around anymore... that is so nice! I tot that thing only exist in cartoon! i can imagine the torture of having food poisoning in a foreign country. cheahs@n, oh that's not me in the picture! Haha! I didn't watch "The Postman" - was it a nice movie? dolly, oh no! The water wheel exists in real life. Haha! I love the water wheel and the bridge. Beautiful. Am I planning to go anywhere? Yeah, two places in mind for next year, one of them is Macau. But who knows. Anything can happen. Good luck on your AirAsia booking, Foong. Thanks for shedding some light to my queries. That's the beauty of travelling, isn't it? We get new insights and there is so much in the world to learn. Feel relax and peace of mind. Nice Blog. I found you through entrecard. The photos you posted are very nice! The water village looks so good foong, and I agree it must be nice to walk across that weir dam. I would love to visit the Water Village and see how the people live. How come you guys didn't encounter beautiful any women so far? Not possible in China leh? Not bad, 'The Postman' was directed by K Costner and also the 'hero' in the movie. 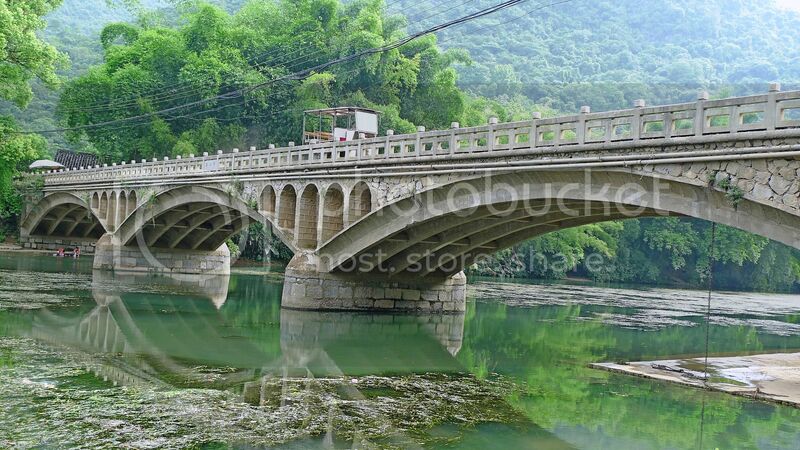 very scenic and nice bridge..
Glad to have visited your blog and discover this hidden beauty in China. 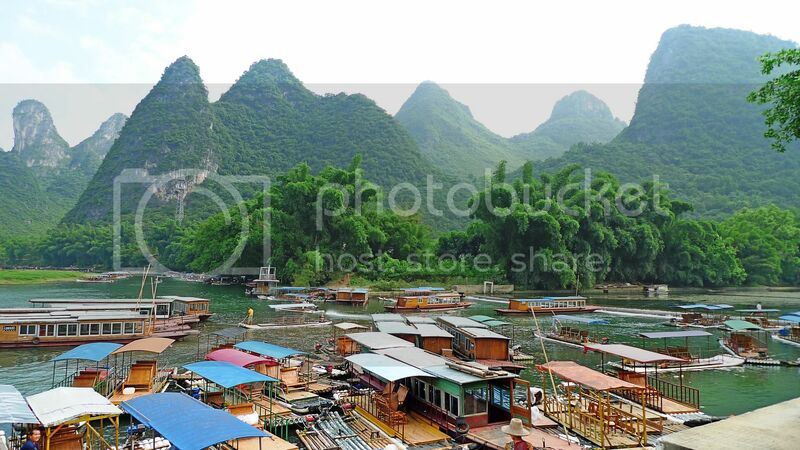 I've never heard of Xingping before but it sure looks like the picture perfect place I've always wanted to visit and live if the Chinese government allows foreigners to do so. Love your cute panda avatar by the way...saw it at Ladyviral's blog. 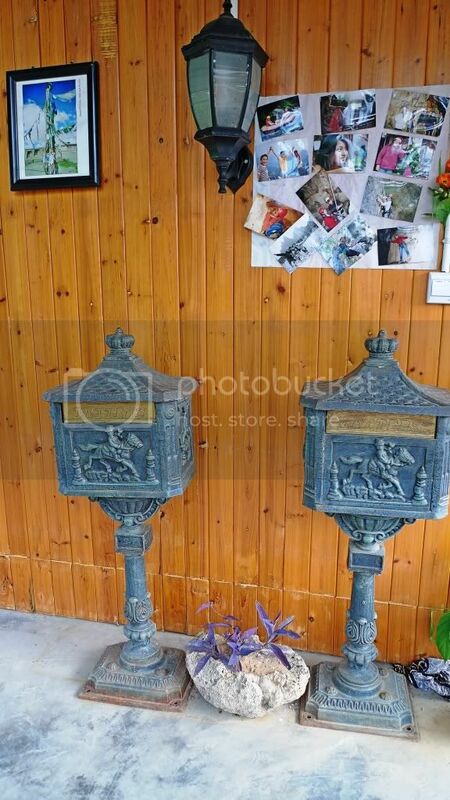 The letter box looks very special. But it's not from China for sure right? Western? 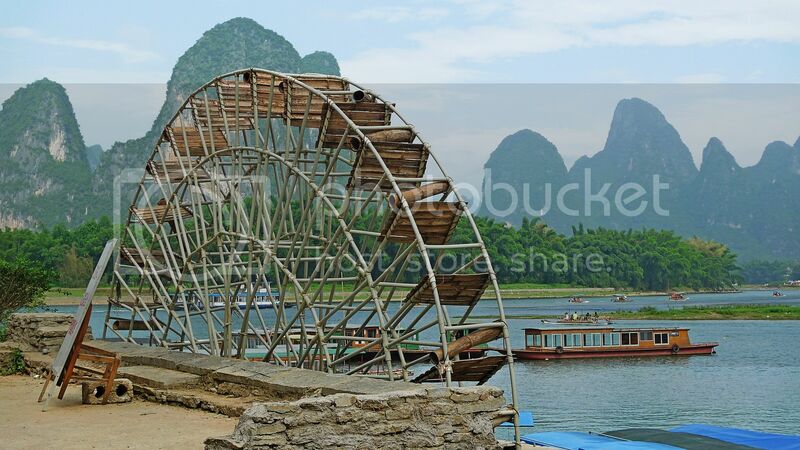 for a while there I thought the water wheel was a ferris wheel! haha.. If there is any regret in our China trip, I would say I should have explored more in Xingping! So you were not feeling ok with your stomach too! Thanks God you were much ok than 2 of us! happysurfer, going Macau? Have a great trip! Will you be blogging about it? eastcoastlife, yeah I think we would all look younger and nicer living there with the relaxing lifestyle and healthy food! kenwooi, but I did get lost! Haha! bluedreamer27, a mini Ferris wheel? Haha! You have phobia riding on boats? I'm glad I don't have such phobia otherwise cannot go on this China trip where I get onto boats most of the time! LOL! tekkaus, I may want to try walking on that weir dam one day! Just got to be more careful! Haha! Only people in small town sleep early - I doubt people in big towns will sleep at 9pm! eiling lim, a ferris wheel? Haha! jam,you should not regret because you are down with food poisoning! Anyway, you can always go back there next time! hhaha...mind if i ask how much is the total cost u have spent for the whole trip? I'm sure you will never forget Xingping. Travelling alone someday? Errr....any more stories about China? Seems like no yet finish? Haha!